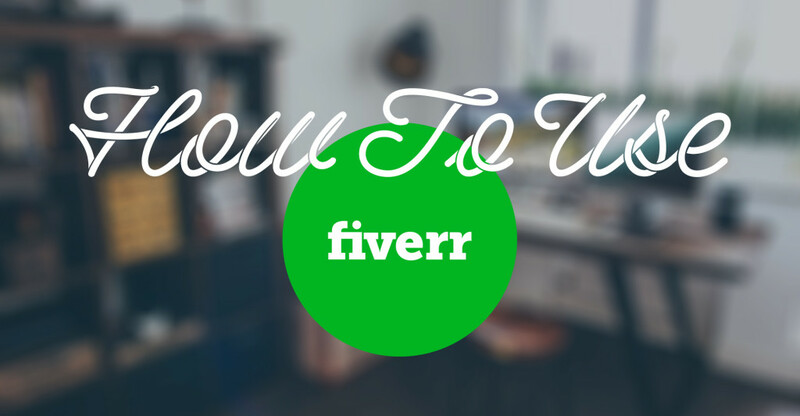 We created a video to show you guys how to use Fiverr to turn your design ideas into a reality! If you have the desire to sell printed products online, but you're not exactly "artistically skilled", this video is for you! You don’t have to be an artist to sell products online. So, how do you get your design ideas created without breaking the bank? Check out our video to see the process from start to finish. In the end, we got a t-shirt design we loved, for around $15.00! Fiverr is website that allows people with certain skill sets to sell their services to people in need of them. Projects on Fiverr start at around 5 dollars and go up from there. Fiverr can be a great way to bring your design ideas to life at a reasonable price. You'll want to find someone who is capable of designing in the style you are looking for. In other words, if you want to get a cupcake shirt created, you are not going to hire the guy with a portfolio full of motorcycle club shirts. Also, if you have a quote or phrase in mind, make sure you choose someone with lots of typography samples. The same goes for illustration. If you are looking to get a cartoon or illustration made, be sure to find someone who has a lot of illustrations in their portfolio. You'll want to find someone who has a consistent portfolio. In other words, their examples should showcase a similar aesthetic and consistent quality. A word of caution, some people take other people’s designs to create a fake portfolio to draw people in. So if someone has 10 designs, and they all look like they were designed by totally different people, they probably were. You also need to look for revisions! Make sure that the package you are interested in includes at least one revision. The more the better. This just means if you aren’t happy with the design, the artist will make changes however many times they have listed. You also want to check out their reviews and ratings. Don't just look at the positive ones. Check out the negative reviews too. This is usually pretty telling of easy the person is to work with. And lastly, you’ll need to look at their pricing. While most projects start out at 5 dollars, some of them can get quite expensive depending on their packages. Make sure you find something in your price range. BONUS: If you have any experience with Photoshop or Illustrator, try to find a package that includes editable art files. It is worth paying extra for! It allows you to easily edit the file to whatever size or color you want it to be. So now that you have chosen a seller, it’s time to task out your design! Every seller asks for different information when creating a design. Do your best to answer the questions they have provided, but also make sure to follow the tips below. The first thing you need to do is look up Print Aura’s Image Requirements. Let the seller know that the design they provide will need to meet those requirements. This will allow the seller to create the design in accordance with our requirements. If you skip this step, you could end up with a design you can't even use. If they set it to 72 DPI or the wrong color profile, the design won't print well. Give as CLEAR and DETAILED directions as possible. If you have a certain color scheme in mind, let them know. If you want certain parts sized specifically, let them know. The more descriptive you are, the better chance you have of getting a design close to what you have in mind. Next, find some examples of designs you like that are similar to what you want the artist to design. Make sure to let the artist know why you like each of the examples as well.